Your ribs will arrive frozen, so make certain that you properly defrost them first. They defrost well in the refrigerator after about 24 hours. 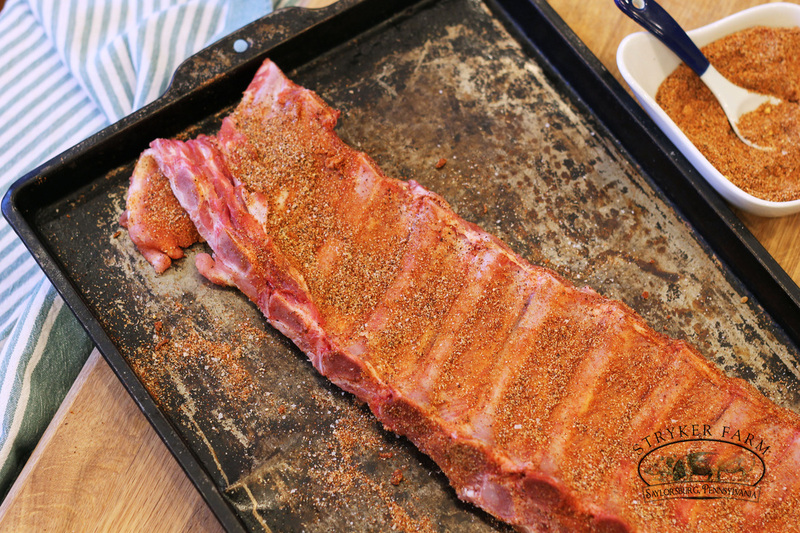 After they are fully defrosted, it’s time to prep the ribs. 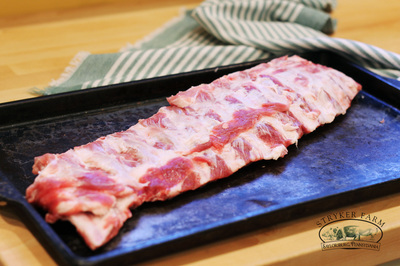 Use a clean towel, or paper towels, to pat down the ribs, soaking up any extra juices. 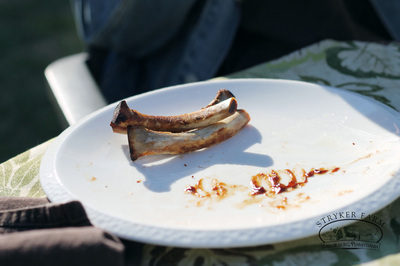 Flip the ribs so that the concave side of the ribs is facing upwards. 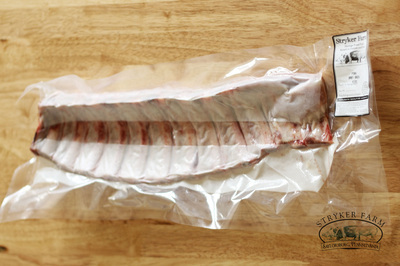 Remove the thin membrane that covers the inside of the ribs. 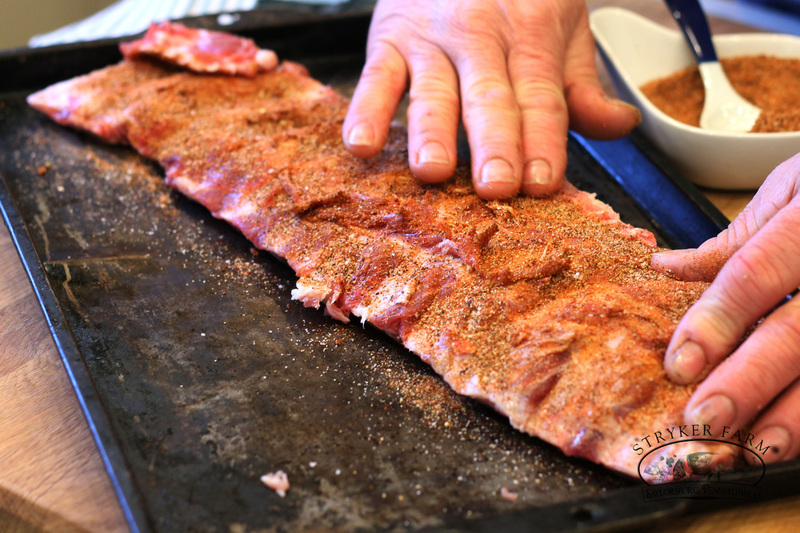 This allows the rub spices to penetrate the meat better. Begin to peel from end to end, like a thin film of plastic. Use a small paring knife to cut away large areas of fat. No need to get too crazy, just scrape away the big pieces on both sides. Mix the rub spices together in a bowl. 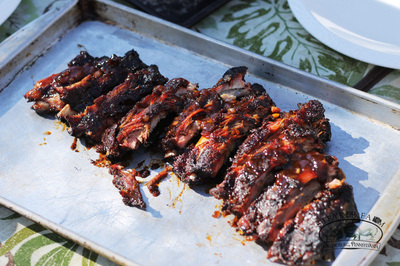 Generously sprinkle the rub on both sides of the ribs and work it in with your hands; go ahead and get a little messy. 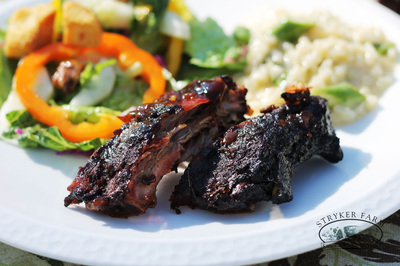 You can cook the ribs by any manner of heat you wish, gas or charcoal grill, or in the oven. 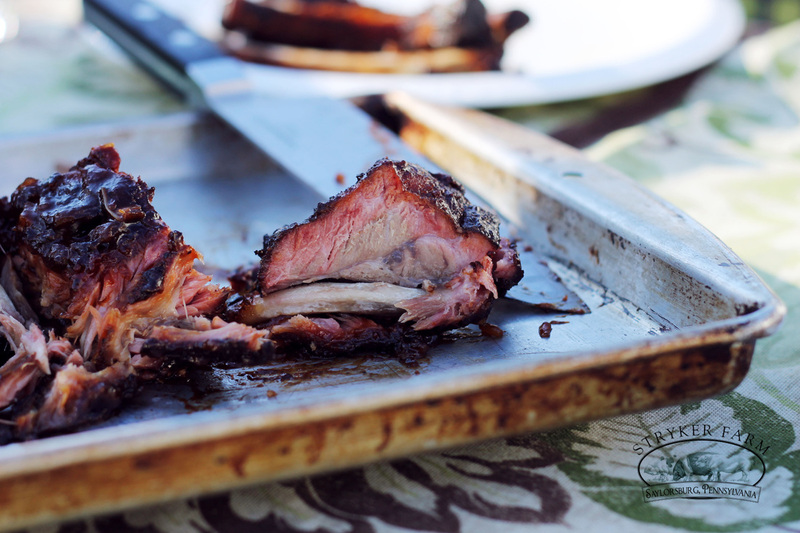 But for this recipe, we smoked the ribs in a smoker. 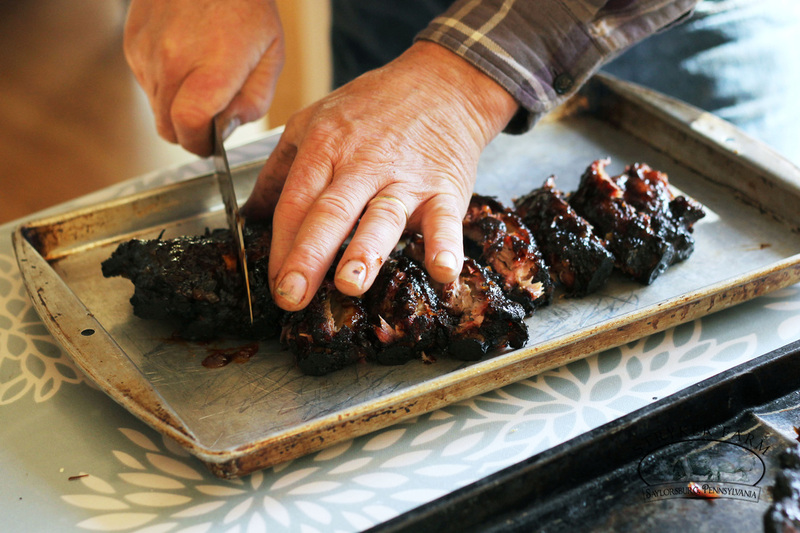 In my humble opinion, ribs will taste their best this way. Fire up the smoker. Add the ribs on the grill on on a divider. Smoke the ribs at about 230°F for 3 - 4 hours. Prepare the sauce. Combine sauce ingredients together in a bowl. Put aside. Remove the ribs from the smoker and allow them to rest a bit, until you can handle them with your hands. Slather the sauce with a sauce brush to ensure full rib coverage, leave no nook or cranny untouched! 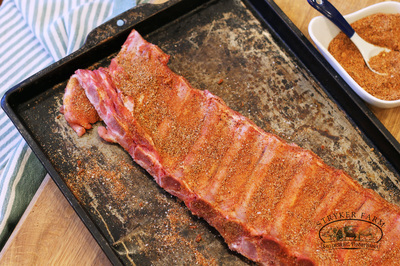 Use a large knife to separate the individual ribs and serve!